Poster about the results of the Rivonia Trial with the names of the defendants who were sentenced to life imprisonment. 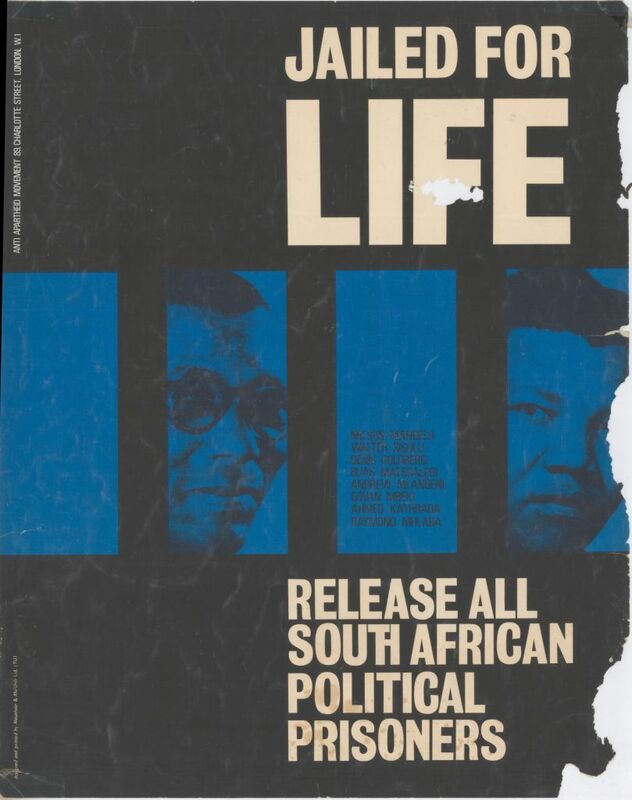 The Anti-Apartheid Movement began a campaign in November 1963 to save the lives of the Rivonia Trial defendants when it was widely feared that all would be convicted and hanged. There was an international campaign to save the defendants lives. 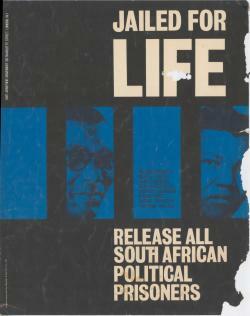 The defendants were members of the African National Congress (ANC). On June 12, 1964 the court sentenced eight of the convicted to life imprisonment. Jagged edge at right side is from damage of the original. Size: 15 x 19 inches.